As you already know I’m a shoes addict, and I already have a huge collection of them. But shoes are never enough, and if you are an addict like me, you know very well what I’m talking about. But if you’re a long time reader, you also know that I have a soft spot for heels. For me, the higher the heel, the better and more difficult for me to resist it! So today’s post comes as no surprise! I always find myself searching for beautiful shoes online. I may not shop but I’m always on the lookout for beautiful shoes and great offers. This is the second part of my shoe collection. I’ve promised you that I’d be back with the spring/summer ones, and here I am. So grab a cup of coffee and enjoy. Yes, I have a slight addiction to shoes; I am aware! These aren’t all new purchases, but they were bought throughout the last few years. Some of them were bought by me, some were gifts from friends, and a few, gifted by shops. However, whether old or new ones, I love them and wear them all! Don’t forget to give the video “thumbs up” if you like it, and subscribe to my channel to support me and my work. I’ve said before that I’m done buying shoes for a while because my closet is overflowing with them, and I had all the styles needed. However, this month, it was really difficult for me to keep my attention away from beautiful shoes, and not make another full-of-shoes wishlist. I didn’t do very well, because 3 out of the 5 items on this wishlist are still shoes, but can you blame me? They are sooo pretty. And I’m sure I’ll buy at least one of them. With the Greek Orthodox Easter slowly approaching (we celebrate it on May 1st this year), I’m also looking at beautiful pastel dresses, like the one above. I’d also like a spaghetti strap lace top to be added to my collection. What’s your favorite item on my list this month? Hi everybody! 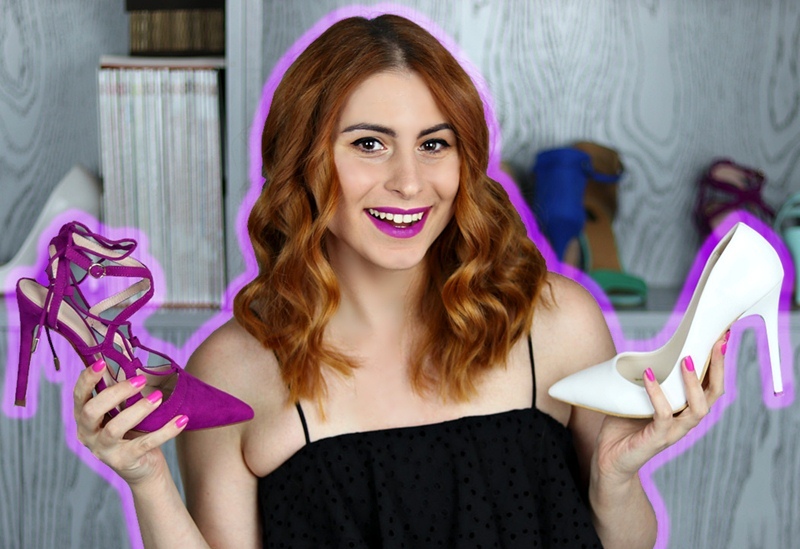 This is a highly-requested video for my Youtube channel (you know how much I love shoes!). I chose to show you only the ones I have worn over the past few years (and I still wear), and not some pairs that are still in my closet, but I haven’t worn for years (maybe!). I’m planning to make another video with my spring/summer pairs in the following months, so stay tuned for these ones too! I hope you enjoy this video… If you do, I’d really appreciate it if you give it a “thumbs up” and subscribe to my channel! Enjoy your weekend! 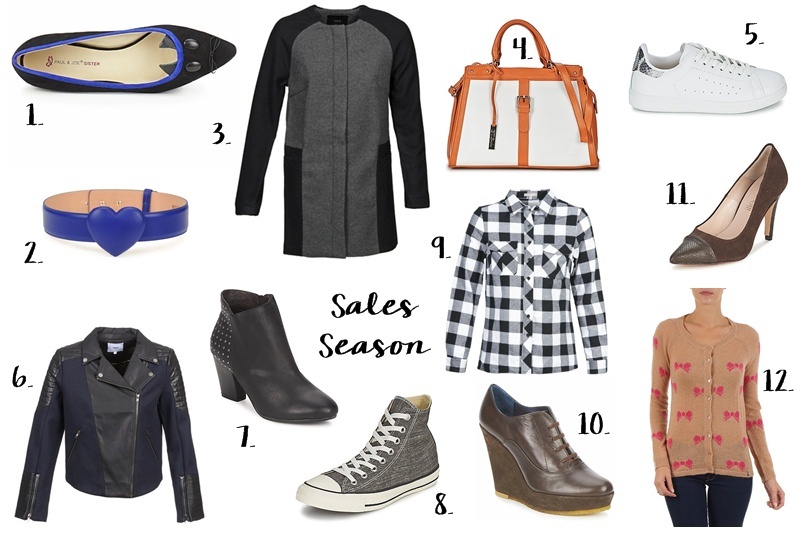 Since I didn’t post a wishlist this month, and since I’m left with no outfit photos to show you, because of the weather and my “photographer” being sick, I thought I’d do a “shop the sales” post. I hadn’t had one of these for a while now. A few days ago I did some online shopping, because I haven’t been to the actual stores to see their sales so far, and I noticed that some items had huge discounts, like -70%. So I gathered here today some really good bargains which you can now find on Spartoo with a huge discount. I’ll write all the brands below so you can check them out yourself. Hope you like them!